The post CXO Briefing Excerpt: Are you thinking big enough? appeared first on Digital Earth 2025. Here is a 5-minute public excerpt of my speech at GE Corporate headquarters, to Beth Comstock, Vice-Chair, and her staff, streamed worldwide. Start from today’s most advanced best practices. That’s GE, a founder and creator of the Industrial Internet. What will you change when you see your company on a Digital Earth — and learn how to surpass today? 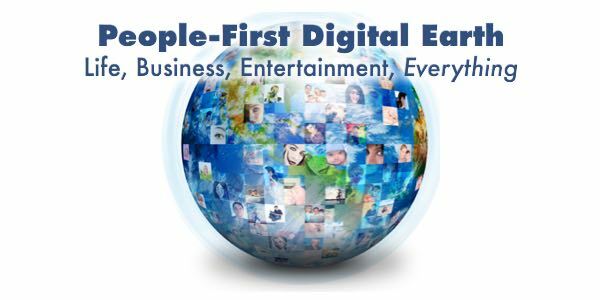 The post How to get Future Ready Now appeared first on Digital Earth 2025. The post Build a Prosperous, People-First Planet That Includes Everyone appeared first on Digital Earth 2025. The post Today’s Supply Chain: 6 Pain Points with One Solution from the Future appeared first on Digital Earth 2025. Dan Abelow presents a possible Amazon World Leadership Roadmap to The Conference Board’s Enterprise Digital Transformation Council. This page is a Supply Chain Roadmap based on adding this Expandiverse economy-wide platform. These Components can be cherry picked by one to many companies to help them lead a customer-centered global economy. Your company could add a Global Supply Chain Platform for operating through continuous connections with customers and suppliers. You could raise your supply chain performance by adding constant interactions and direct adjustments with customers, suppliers and logistics. Grow your Supply Chain Platform into a business: Scale it so other companies can add it to their global supply chains. Turn on the world’s continuous connections between vendors, customers, suppliers and logistics. With your company as a world supply chain leader. As the world adds a Digital Earth economic system, your company helps lead its Digital Earth economy. 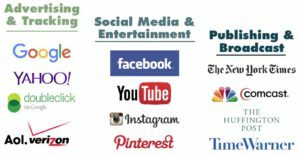 The post Media and Publishing: Regain World Leadership and Financial Prosperity appeared first on Digital Earth 2025. Fortunes changed when technology rose and publishing companies started failing financially. The ad-based Internet business model is broken. By the first quarter of 2016, “85 cents of every new dollar spent in online advertising will go to Google or Facebook” (NY Times). Companies that depend on advertising are failing. 1 Ad services blast ad frequencies, sizes and intrusiveness at user-annoying levels. 2 The volume of digital ads is a flood, which kills ad prices. 3 User tracking is sold to raise ad prices, but makes audiences fearful. 4 Online services like Craigslist decimate classifieds. 5 Blogging experts raise the bar on content quality. 6 Large private platforms like Facebook add content delivery to “help” the media. 7 The Internet is widely used to bypass secure cable TV businesses. 8 Cheap streaming sticks turn TVs into Internet-first screens. 9 DVRs record TV shows, simplifying ad skipping during playback. 10 Free ad blockers are used by hundreds of millions of desktop and mobile users. Except for tech leaders like Google, Facebook and other digital-first companies, most of the advertising and cable TV business is slowly being pushed over a cliff. No industry has ever survived its Digital Transformation, and old-media companies are no exception. Newspapers are desperate to hang on. Periodicals struggle to survive. Broadcast/cable furiously milks its revenues to buy a Digital Transformation before its collapse begins. Will tech even care when it puts the final nail in old media’s coffin? Or will it keep taking its profits to the bank while it feasts during media’s collapse? Instead of failing, could media use a new technology inflection point to soar upward? How can a media company take world leadership? Just as the Internet and tech caused ad-based publishing to decline, could a new technology inflection point change a media company’s fortunes again? Yes. Just because some tech companies win today, that doesn’t mean they will win during the next Digital Transformation. This “Media 2025 Roadmap” points the way to a new era: Everyone can enjoy the high quality personal worlds each person wants. This Roadmap shows how one or a few media companies can add “always on” universal info/entertainment, personal success, market growth, and vendor connections — capturing the center of tomorrow’s winner-take-all Digital Economy. Unfortunately, this new tech can also let existing leaders and other industries take this gateway position. 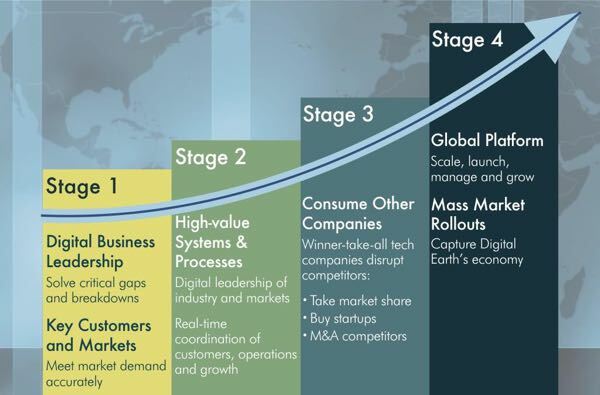 As Digital Convergence arrives, different kinds of companies will use a fully Digital Earth to compete with each other. 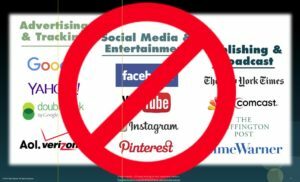 New Internet business model: Users control ads and content. Personal growth and quality for everyone. Revenues from ads displayed and resulting transactions. Visible markets: Embedded employers know employees’ activities and gaps personally in real-time. Embedded vendors know consumers’ needs personally in real-time. Both consumers and vendors can act on each personal need with two-way embedded “always on” connections. 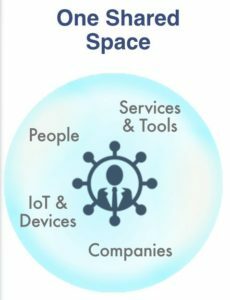 New tech insures high quality: Personalized digital living produced by Digital Boundaries, Shared Spaces, Continuous Connections and more. Continuous connections replace on/off use: Devices become families. Users gain multiple presences with new “always on” instant worldwide capabilities. Active Knowledge: “Intelligence Amplification (IA)” captures others’ revenues by embedding knowledge, resources, direct 2-way relationships and resulting transactions throughout digital living. Multiply the world’s tech resources: Turn tech products and services into worldwide, accessible resources and revenues. 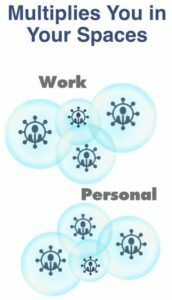 Multiply personal productivity: Digitally multiply everyone’s abilities: Multiply yourself, your worlds and governances. Digital living and entertainment: The next media delivers global digital living, working and entertainment across a new Digital Earth. Digital Boundaries let users opt in to what they want, and filter out of what they dislike. Examples could be obesity (healthy food in) and energy (fossil fuels and climate change out). Economy-wide, millions use their digital kill switches to guide customer-centered companies to the personalized Digital Earths each person would like. 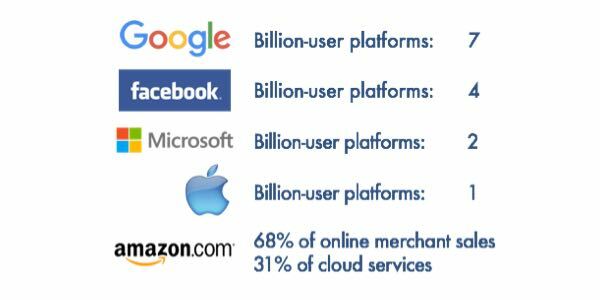 As each user takes control of multiple Digital Earths, media leaders can deliver this — making their companies the world’s gateway platforms. The post How could Amazon, Walmart or Alibaba lead the world? appeared first on Digital Earth 2025. The post Will “Work” be captured by a Microsoft+LinkedIn fusion? appeared first on Digital Earth 2025. Did Microsoft just buy the future of work? They see the potential from combining the 1 billion business employees who use Microsoft Office with the 430 million professionals in LinkedIn’s network. No, if you watch the announcement videos from Microsoft and LinkedIn, and their “roadmap” slide decks. That is echoed by analysts’ widespread doubts about Microsoft’s ability to execute well. But “Yes!” if Microsoft wakes up and realizes how much it now owns, then adds the new technology that will turn these piece into a real-time Work Platform it can build and deliver. Here’s the big picture missing from Microsoft’s Strategic Roadmap. Microsoft+LinkedIn is following the same playbook as the other digital dominants: It is colonizing one area. Then it will use that beachhead to capture user information, and track, target and monetize those markets and people at every opportunity. Facebook rules today’s version of online living, and large parts of messaging. Amazon rules commerce, and is adding the ($400+ billion business of) logistics and supply chain management. Google rules search, smart phones, online documents, email, and everything it can add. Microsoft+LinkedIn is claiming the work done throughout the economy, planting its flags throughout companies and on the B2B channels between them. This will be a big new step toward the Internet swallowing everyone and everything, everywhere. 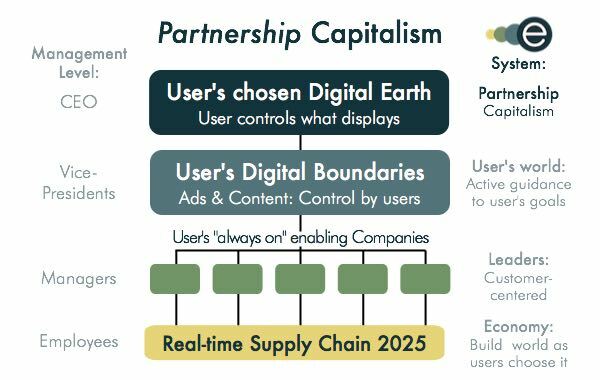 The post (In development) Partnership Capitalism: New “Journey to Quality” when Users Control our Digital Earth appeared first on Digital Earth 2025. The user interface is already constructed by computers, as shown by programmatic advertising, Augmented Reality and Virtual Reality. Next, users will control all their screens by using Expandiverse Digital Boundaries. Each user will choose the ads and content they want to see, and what they block. Consumers’ Boundary choices will re-shape many areas of the economy like food, transportation, healthcare, pharmaceuticals and mobile communications. These Digital Boundaries will also evolve the Internet’s business model. What will take the place of today’s ad-based and paid-content-based revenues? The user-controlled interface will become the most valuable real estate in the economy. Marketing will serve customers, not manipulate and annoy them. Every consumer will live on the Digital Earths that he or she chooses. Consumers will enjoy Journeys to Quality in “always on” two-way relationships that they, the users control. This Digital Economy’s leading companies will be responsive and customer-centered. The economy’s leading companies will be “Partners” who listen, sell and deliver the high-quality products, services — and collectively, the new Digital Earth — that consumers want and choose. See the full Media Roadmap here. What will Customer Relationships become? With a Filters and Priorities Boundary, what will customer relationships look like? Here’s a FICTITIOUS EXAMPLE that uses a company like Disney or Universal. Disney has to use SHOTGUN advertising for every new product. Digital Boundaries are a huge win for companies. Many parts of their markets tell them which kinds of ads they want to see, making them more accurate and efficient. Companies will jump at switching from SHOTGUN advertising to DIGITAL BOUNDARIES advertising. With Digital Boundaries companies will SAVE MONEY AND INCREASE ACCURACY. I will tell Disney I want to see ads for Star Wars, Marvel movies and football and basketball on ESPN. My daughter is crazy about Frozen, including the movie, music, books, characters and toys. My wife loves Disney’s kids products. She wants to see the Disney channel, new kids movies, toys and family trips on the cruise ships and at the theme parks. When I respond to a Disney ad, they’ll entertain me with a “Wow!” experience. Companies will serve me personally in my Shared Spaces. They won’t annoy me because I have a Digital Kill Switch. Disney will work hard to make sure I enjoy their “always on” relationship. Exclude most competitors by doing this inside “always on” Shared Spaces. The user interface is dynamically constructed to show what users choose to see. Digital Boundaries disconnect “sending” of advertising and content from what each user chooses to see. The Author does not know who sees their book’s page. The Author doesn’t know how long the buyers spend on each part of page, and what consumers read or skip. The Author does not even know the names of the people who buy their book. All the Author knows what Amazon tells them. Digital Boundaries make the user interface the most valuable real estate in the economy. Advertising no longer decides the future of companies. Native Advertising is managed by content filters, so it is selectively filtered, too. What users choose to see will decide the future of every company. Companies will need to really be customer-centered when customers use Digital Boundaries to control what actually displays on their interface — the world’s most valuable real estate. Advertisers and content sources send information for users to display. On the left, advertisers and content sources send information to users. With Digital Boundaries, the users choose what they display. The advertisers can be put in the same position as an Author who sells a book on Amazon. The Author does not know who sees the book’s page. And the Author does not know the names of the people who buy the book. Users see only what they choose, because their Digital Boundaries use replacements and blending. A third piece of the future is CGI screens. You’ll put anything you want on the screen. Processing power will give you continuous access to the digital world you want, shaped to fit your needs and tastes. The users see their choices displayed on all their devices and interfaces. The user sees their personalized display on all their devices: The user’s self-chosen views follow the user from screen to screen, adapting each display so it fits the user’s needs and tastes. The user’s “Family of Devices” is turned into one consistent interface that is controlled by the Digital Boundaries that each user chooses and sets. This is like programmatic advertising that includes both ads and paid content. Programmatic ads and content are set by advertisers then displayed for each identified and tracked “target consumer”. 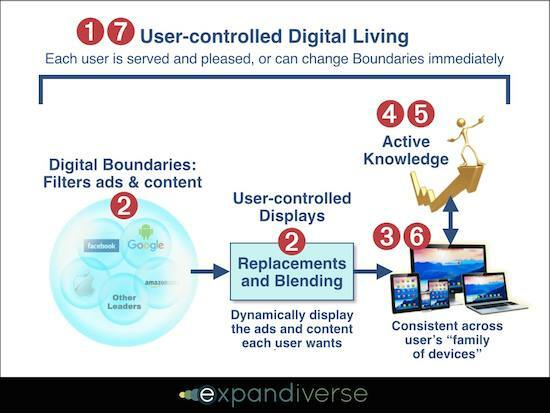 Digital Boundaries advertising and content set by users, managed by services, and displayed personally to fit what each identified and “protected consumer” wants. We are all wirelessly surrounded by the world’s best knowledge and digital tools. But they’re disconnected from what we do. Active Knowledge is a new bridge: As you do steps and tasks, you can use optional Active Knowledge to raise your performance immediately. Its goal is to increase what every person can achieve every minute: What’s your “next best step?” What’s the “direct route” to your goal? Do you want to connect to the best tool right now so you can reach your goal in the best way available? First, it’s the person who benefits from this Intelligence Amplification. Individuals raises their personal productivity all day long, in each step where they use Active Knowledge. Everyone connected can improve their productivity while they do a task. This improves everyone’s productivity today. Then Active Knowledge can improve everyone’s productivity again tomorrow. And it keeps improving personal productivity each new day, all around the world. Here is the widely discussed cause of inequality, where productivity rises but median family income stays flat. One cause of this gap is the earnings from productivity go to businesses, while people work in a job, and their pay is set by employers. This explains why GDP can rise by 78% since 1980, but median income rises only 5% — with most of that going to the well off, without helping those in low-paying jobs. We will still be wirelessly surrounded by the world’s best knowledge. But during every step, Active Knowledge will be the bridge to everyone having the Intelligence Amplification they need to succeed all the time. This isn’t a 2% per year productivity improvement. This is a new paradigm for improving worldwide productivity every minute, to increase what every connected person can achieve right now. The world can move to the level of performance that people want and choose, all the time. Active Knowledge is the bridge between the world’s best knowledge and what people do while connected. Individuals raises their personal productivity all day long, in each task where they use Active Knowledge. Everyone connected can improve their personal productivity while they are doing a task. We will still be wirelessly surrounded by the world’s best knowledge. But Active Knowledge will be the bridge to everyone having the Intelligence Amplification they need to succeed all the time. The post The next Stage: A Multi-Person, Social and Live Digital Earth appeared first on Digital Earth 2025. The post Growth Roadmap: Solve inequality, low economic growth and the decline of the middle class appeared first on Digital Earth 2025. Even if you only have a good job, widely quoted research forecasts the automation of up to 47% of today’s jobs. Capitalism and “democratic” politicians are widely disbelieved. They have spent decades distributing most of the economic growth to the wealthy, while lower paid workers are usually worse off. GDP per capita is up by 78% since 1980, but real median wages are only up 5%. 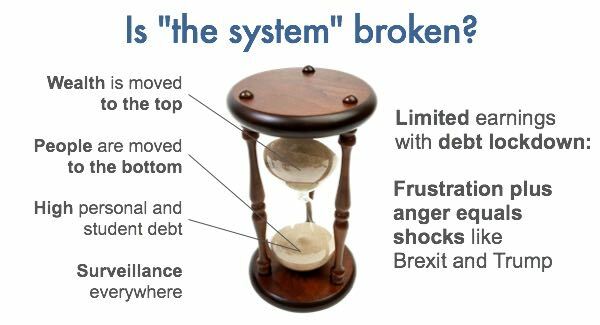 Anger and anxiety are everywhere, especially from large numbers of hard-working people who believe the system is rigged. Their anger now threatens to disrupt the prosperous global economic system: Whether it is Brexit in the UK, Trump in America, Marie Le Pen in France or similar movements in other countries, the movements of globalism and optimism are threatened. Today’s political and corporate leaders think the world we lived in will be similar in the future, just ”more digital.” None of them realize how the world could go through a phase change from the scarcity we have always known to the start of universal prosperity on a potentially far more successful planet. If you’re a CXO executive at a leading company, how will you plan and deliver continuing leadership by your company? Your control over your company’s future appears limited: Join the herd of companies that will collectively spend over $1 trillion on their Digital Transformations during the next decade. All your company can do is find and accelerate new technology disruptions, with ever-faster digital advances from competitors who will collectively transform your industry. One huge risk: You will fail to innovate enough and be left behind like Nokia was after Apple transformed smart phones. Your biggest risk: Rising anger will bring populist leaders to power, and destroy your position—like Britain’s elites just discovered. You think your markets are protected by your connections in Washington and state capitols—but they can’t protect you if they’re being swept aside. Just because your company is winning today doesn’t mean you will win in the future — whether or not you’re a high-tech leader of today’s surging Internet growth. Will a people-first Digital Earth transform everything? Here’s an example: Today, everyone is wirelessly surrounded by the world’s best knowledge and digital resources. But these are disconnected from what we do on our digital devices and services. 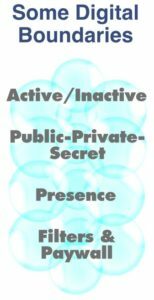 During that personal and private interaction, Active Resources adds immediate access to the best available digital resource to succeed immediately. Corporations will provide these by remote control, so all their employees perform at the highest levels. A sharing economy will want this so everyone can become the world’s best at everything—turning many of tech‘s products and services into shared global resources. Active Knowledge and Active Resources are not education or critical thinking. They’re IA — Intelligence Amplification that combines the Internet of Things data, big data analytics, machine learning, remote control and more. This will be like step-by-step GPS directions that direct people to their destinations. GPS became an everyday expectation in just a few years. After this transition, humanity’s best knowledge and best resources will find everyone during their moments of need. At first, this will transform parts of searching, advertising, shopping and learning. Next, Adam Smith’s “visible hand of the market” (from 1776) will be turned into the “visible hand of the market.” Successes, failures and unmet needs will be known to the company that provides Active Knowledge. Gaps will be filled by developing new products and services. Once proven these will be delivered by Active Knowledge during those moments of need, worldwide. Human growth engineering will become a process, then a profession. Learning will be by the system, and everyone’s abilities will rise without needing classes or degrees. The most valuable corporate position will be to sit on top of the flow of information and see the world’s steps, successes and gaps—from running the invisible, embedded Active Knowledge and Active Resources channels. Every missed step can include 2-way learning: each person can gain some productivity immediately, and the vendor might gain a transaction if the person switches to the world’s best resource for that task. Everyone can raise themselves a today, by being connected. Then everyone can rise a bit more tomorrow. Over time, the world will climb to the top of humanity’s combined abilities. Active Knowledge is one of seven components and five results that are in the new Growth 2025 Roadmap that apply to solving low economic growth, inequality and middle class decline. 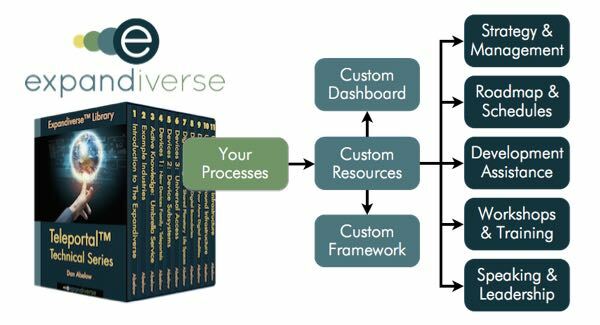 This Roadmap introduces some parts of the new Expandiverse Global Technology Architecture. This isn’t the only Roadmap. These first resources include 4 more Roadmaps and 3 Executive Briefings. As a CXO executive, these will show you a new way to think about your company’s future. You will realize that your company and its IT vendors can build this. 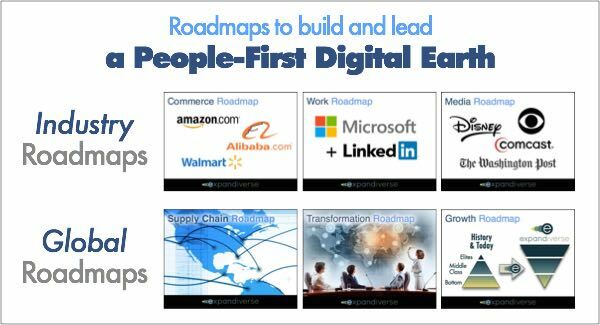 To fit your business, these Roadmaps can be cherry picked or custom designed to help you lead this new kind of people-first Digital Earth. How can your company take advantage of this? Today’s changes arrive faster than ever. Your company could deliver the coming Global Digital Transformation to help everyone achieve upward, giving your company a world leading role. The best process is a two-speed strategy: Start by focusing on your current business to produce the resources needed. For example, many industries are like cable TV and Internet access vendors, mobile communications vendors, and similar oligopolies. Use your dominance to generate resources from captured markets that are protected by Washington, Wall Street and state capitals. In parallel, budget some of those resources for this leap-ahead strategy to capture tomorrow’s Digital Earth—before a competitor takes it first. To lead tomorrow’s Digital Earth, use lean design-testing to develop your industry leadership first, by adding new Expandiverse abilities for your industry’s consumers. This can start quickly by using today’s networks and devices to deliver a customer-centered DEaaS platform — Digital Earth as a Service. By starting soon you could drive your industry leading platform to grow its ecosystem through 2018–2020. As you gain traction and prove a repeatable model, scale it to a Digital Earth platform by 2025. During those years, capture multiple industries and markets worldwide, and work with governments to secure them. The real destination will help drive your company to the top: Everyone, everywhere, can start rising to the top for the first time in history. Without revolutions and without attacking those at the top. 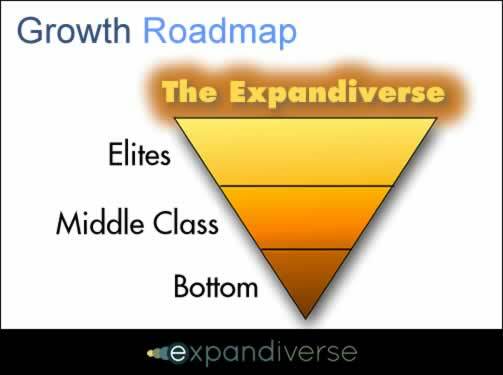 That Expandiverse goal is to start universal prosperity. This is based on Human Exponential Growth Engineering, which helps everyone achieve their full human potentials every minute. That includes a new Business and Society Maturity Model, to develop a successful planet where personal greatness becomes the norm. 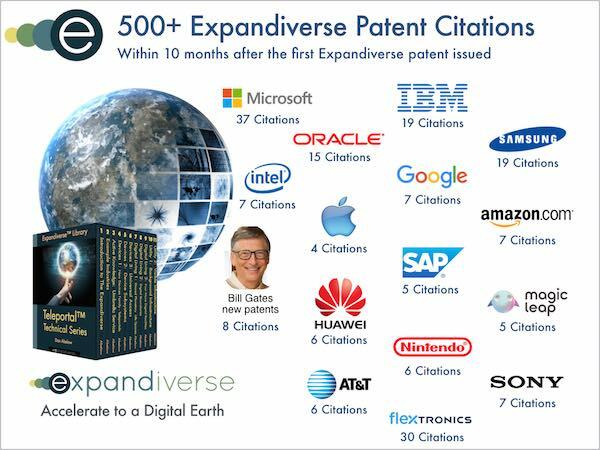 But could your company ever decide to lead today’s world toward planetary success? Will you commit even a small team to turn today’s huge problems and frustrations into the world’s biggest business opportunity? This historic decision has no other alternatives. Because of digital’s network effects, there will be only a few leaders in tomorrow’s winner-take-all Digital Economy. Only one Google rules search and smart phone operating systems, There is only one Amazon in shopping, and Facebook owns social media and is pursuing digital living. This makes your company’s Digital Transformation Strategy binary: Get to the top, or go home. Your company will either be an owner of the Digital Economy, be owned, or lead an Expandiverse Digital Earth where everyone wins. Since the Digital Economy is already substantially owned, you’re too late if you’re not one of today’s tech leaders. The world’s connected billions of people are already claimed, tracked, targeted and monetized at every turn. Your company has only one option to get to the top: Either lead your industry then a Global Digital Transformation, or go home. If you’re quick you could be “the one” leading company. But the hope here is many companies will see the dangers, and the dream, and decide to Lead the Word. Then they might all win—along with every person, everywhere. 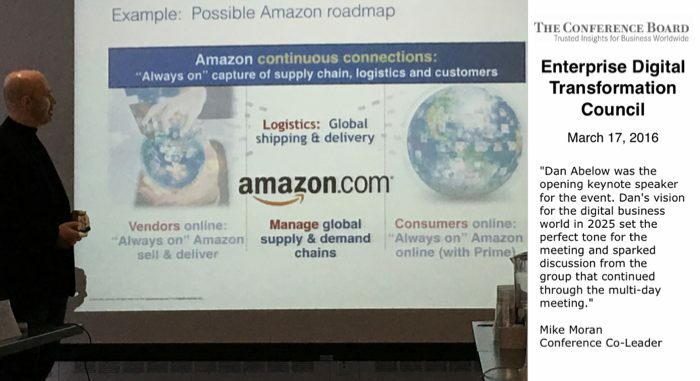 Dan Abelow presents a possible Amazon World Leadership Roadmap to The Conference Board’s Enterprise Digital Transformation Council in New York. Image credits: The first image is credited to Shutterstock. The second image is credited to Dan Abelow.